Burr grinders are simply the best way to create a perfect consistent grind, no matter how you brew. 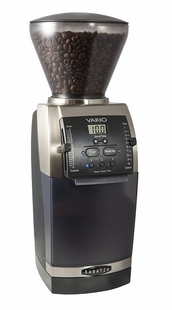 Select the grinder that best fits your brewing style, budget, and barista aspirations! 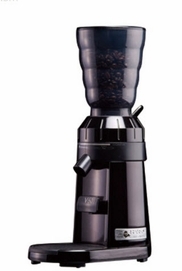 A must have all around basic grinder for drip, press, and low pressure espresso brewers. 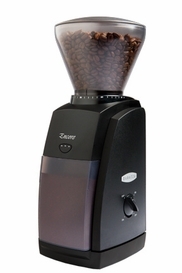 The all around grinder for drip, press, & espresso that will stand up to higher volume use in a home or office. The you-mean-business grinder that will produce that perfect espresso grind over and over, but still allow you to grind for drip or press. Programmable timed dosing. 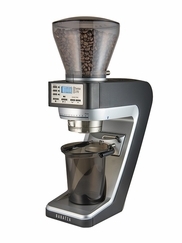 This is an espresso specific grinder. It's coolest feature? It has time-set dosing, so you dose the perfect amount every time with no waste! 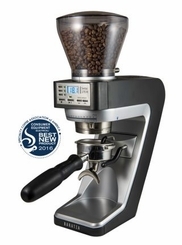 This exceptional grinder is ready to take care of every coffee grinding challenge with maximum precision. Grind by weight easily, directly into portafilter and many popular brew devices. This exceptional grinder is ready to take care of every coffee grinding challenge with maximum precision. Grind by time easily, directly into portafilter and many popular brew devices. 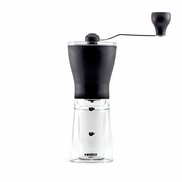 The Hario Skerton Hand Mill has adjustable ceramic conical burrs which produce a consistent grind for brewing methods from espresso to french press. 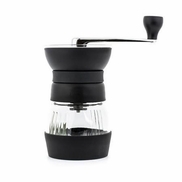 The Hario Mini Hand Mill has adjustable ceramic conical burrs which produce a consistent grind for brewing methods from espresso to french press. 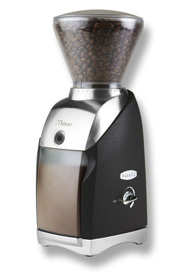 The Hario grinder is ideal for drip brewing, with 44 grind settings from fine to coarse. Grind directly into your Hario V60 dripper, and you're ready to go.